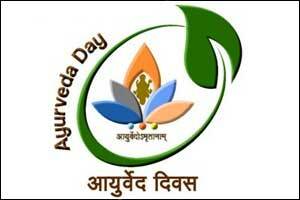 New Delhi: Ministry of AYUSH observes Ayurveda Day every year on Dhanawantari Jayanti (Dhanteras). This year Ayurveda Day is being observed on 5th November 2018. On this occasion, Ministry is organising a “National Seminar on Entrepreneurship and Business Development in Ayurveda” in association with NITI Aayog on 4th& 5th November 2018 at Dr Ambedkar International centre, Janpath, New Delhi, with the intention to encourage entrepreneurs and Ayurveda stakeholders towards businesses opportunities in the sector. The Seminar is a subsequent step to the challenges taken by the Ministry to increase Ayurveda Market share threefold by the year 2022. The seminar is expected to develop awareness among stakeholders about the business opportunities, encouraging young entrepreneurs to use of modern technologies and modern innovations in business development in the sector and to highlight opportunities at the global level. The experts in marketing, finance management, innovation, telemedicine, the policymakers, experts in start-up as well as experienced entrepreneurs in Ayurveda pharmaceuticals and hospital industry will guide and share their experiences with the participants. The deliberations in the seminar are expected to educate the young entrepreneurs about the various possibilities of business development in Ayurveda sector, how to use the technology and the ease of business being facilitated by the Government for promoting their business in the field of Ayurveda. Ministry of AYUSH looks forward to actualising the words of Prime Minister that ‘Young entrepreneurs who are planning a start-up could find a lot of opportunities in holistic healthcare” / ‘We have seen the IT revolution in last 30 years. Now, the time has come for health revolution under the aegis of Ayurveda. Nearly 800 participants from across the country are expected to participate in the main function of 3rdAyurveda day. “National Dhanwantari Ayurveda Award” comprising of Citation, Trophy (Dhanwantari Statue) and Cash reward of Rupees five lakh shall be conferred on this day to eminent Vaidyas. The Ministry of AYUSH has selected three renowned Ayurveda experts namely Vaidya Shiv Kumar Mishra, Vaidya Madhav Singh Bhagel and Vaidya Itoozhi Bhavadasan Namboothiri for the prestigious National Dhanwantari Ayurveda Award for the year 2018. The winners of the National level Ayurveda quiz conducted by All India Institute of Ayurveda (AIIA), New Delhi, will also be felicitated during the function. Ministry of AYUSH has conducted various activities throughout the country as a part of Ayurveda Day celebrations. The Ayurveda half marathon was one of the main activities in 100 cities throughout the country through All India Institute of Ayurveda (AIIA), New Delhi, Research Councils, Institute for Postgraduate Teaching & Research in Ayurveda (IPGTRA) Gujarat, and National Institute of Ayurveda (NIA) Jaipur. A spate of activities including Public Lectures, Exhibitions, Distribution of Medicinal plants, Patient-education drives and Social Media campaigns were also organised by the Central Council of Research in Ayurveda (CCRAS) through its units across the country. Let them prove the validity of the so called Ayurvedhic products . There is NO scientfic validation of ayurvedha except publicity and utilising govt funds . When western countries are going head with nanotechnology ,biotechnology ,artificial intelligence these fellows want to sell bhusma ,choorna,cow urine ,cow dung by modren business model. ???. prof prem raj pushpakaran writes — let us celebrate national ayurveda day!!! Finance , business and management of Ayurveda will thrive ; the essence , goodness , relevance and utility (for day) and life yet requires emphasis for many sceptics. Far seeing Roadmap for Ayurveda is probably yet to emerge. Dr Murar Yeolekar. , Mumbai.